We can print on to a wide range of rigid materials, Dibond, also know as aluminium composite, foamex and correx are our most popular media. All of which can be purchased online. Other materials are also available, please contact us to discuss your needs. Instant Online Quotes - Simply select the rigid sign type you require. 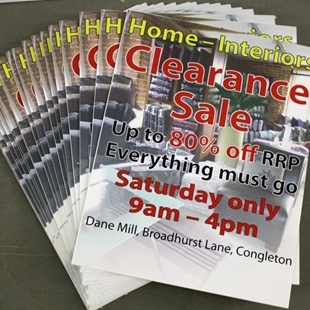 Low cost temporary signs, ideal for promotional signs, events sign etc. Light weight and durable.